During World War II, the American Friends Service Committee (AFSC), a Quaker organization active in relief work, shared a building in New York with the National Refugee Service (NRS), and the two organizations collaborated in efforts to rescue and assist Jewish refugees. In 1941 and 1942, the AFSC rescued Jewish children in refugee camps and homes in southern France, transporting them to safety on American shores via Portugal (the same journey taken by Vishniac and his family). 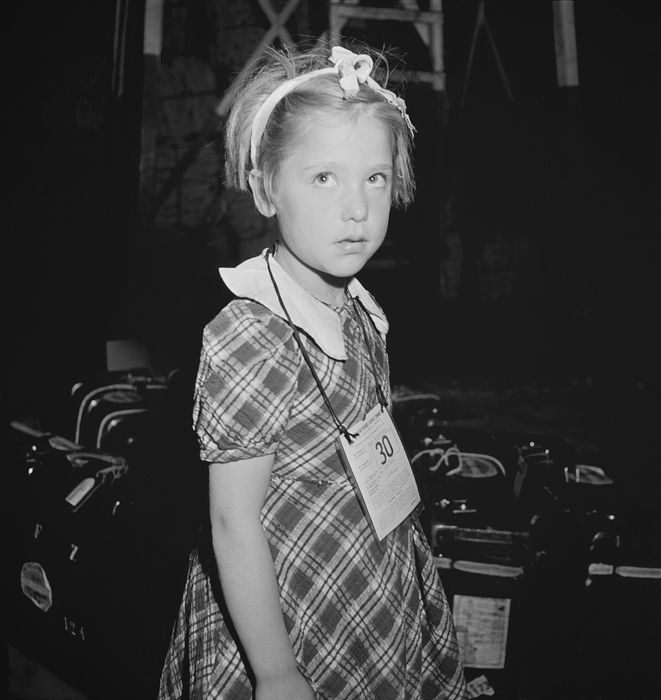 Ruth Engelhardt arrived in New York aboard the S.S. Mouzinho, on September 2, 1941, on a transport organized by the U.S. Committee for the Care of European Children (USCOM). In 1946 she reunited with her mother, Helene, who had spent three years in Gurs internment camp in France.